Call Unique Duct Cleaning Today! Your Local Independent Duct Cleaning Specialist. 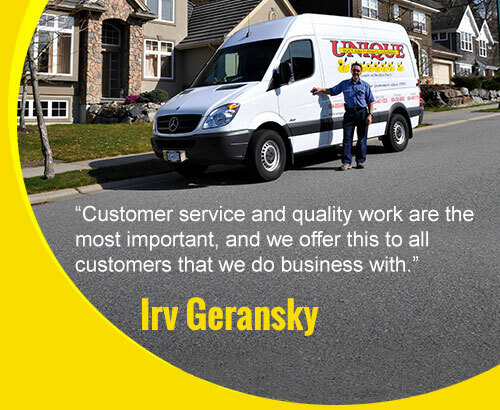 Serving the Lower Mainland & Grande Prairie for 26 years. Call Us Now for our seasonal specials. Operating hours Monday to Friday 8am – 8pm. Saturday 8am – 5pm. Often the most overlooked household and commercial services are the cleaning of your furnace and vents. When your furnace and vents aren’t maintained and kept clean, a build-up of dust particles, drywall dust, pollen, mold, and other debris contaminate your furnace and vents. These particles are released throughout your ventilation system and into the air you breathe. When dryer vents aren’t cleaned lint builds up and poses a fire hazard. That’s why having the professionals of Unique Duct and Furnace Cleaning come to clean your air ducts, furnace, and dryer vents, on a consistent basis is so important. Keeping your home or office safe from harmful air pollutants is our job and we do it well! Contact/Call our office for a free quote today and breathe a little easier. Unique Duct and Furnace Cleaning is a family owned and operated company, serving Vancouver and the Lower Mainland for over 24 years. Areas commonly serviced include Coquitlam, Maple Ridge, Tri-Cities, Langley, White Rock, Surrey, Abbotsford, Mission, and Chilliwack. We offer a wide range of Residential and Commercial cleaning services including Duct and Furnace cleaning, Dryer Vent cleaning, Air Duct Sanitization and, Gas Fireplace cleaning. We are licensed, gas-ticketed, and insured. Unique Duct and Furnace Cleaning uses the latest custom made equipment designed to clean even the most hard to reach areas of your duct system.